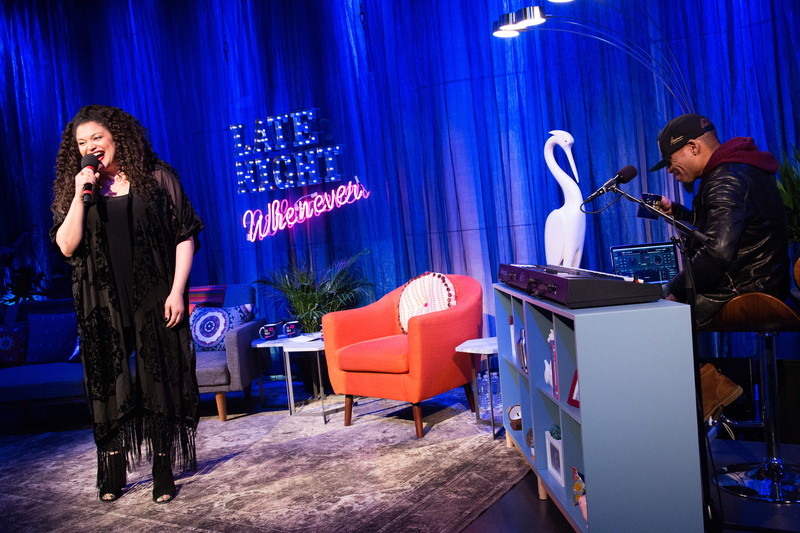 Michelle Buteau is the host of WNYC’s newest podcast, Late Night Whenever. 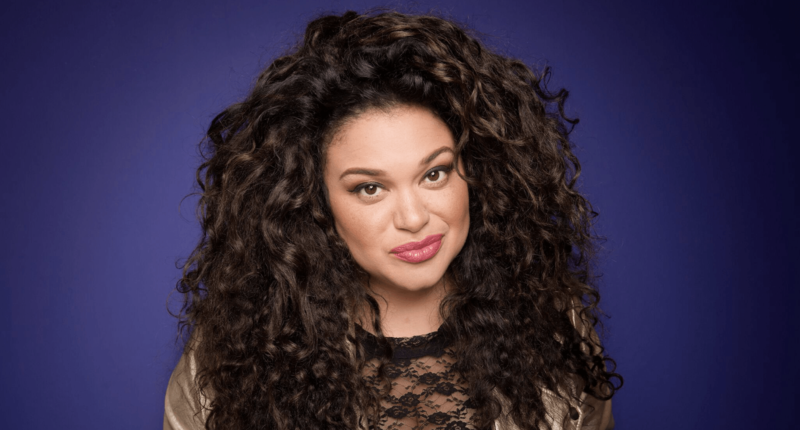 Buteau brings her talent as a comedian, storyteller and television host to the podcast, where she blends together the daytime talk show and late-night TV with her own uproarious brand of comedy. I spoke with Buteau about the making of her new show and what makes her most excited about podcasting. Lars Odland: This is your first podcast. So, how did you get involved in podcasting? How would you describe Late Night Whenever? Late Night Whenever is my take on the talk show. I’ve done a lot of co-hosting and side kicking, daytime and nighttime. This is a proper mash up of a daytime show and a late-night show. Yes, there are some raunchy topics, but there’s also a place to talk about feelings and drama. My intervention episode would be like, stop watching dramas. And I love that we can throw it to the audience to see if they have any stories they want to share. That’s something I miss on late-night TV. How does the podcast format change what a talk show is? You have to be present and then also describe stuff. You have to let your audience know what’s happening. But you already know to do that with stand-up. When you do crowd work and someone up front says something really funny, you have to be able to repeat it to the folks in the back. That’s the main thing: letting people know what’s happening. A lot of it feels like a really friendly line at Whole Foods, where we’re all stuck together and start talking to each other. How does this compare to other projects you’ve done? The great thing about working with WNYC and podcasting is that this is my project. I feel I have more say creatively. With television studios, you have to fit in to their brand to see what they need and don’t need. But podcasts provide a creative freedom I’ve never had before. It’s like the first time going to a buffet. I’m just overwhelmed with choices [laughs]. That’s so great to hear. What has the planning process been for each show? I almost feel like a one-man band. I’m writing this show. I have a vision. But I’m also collaborating with really great people. I have a really great friend, Rob Lewis. He’s technically my musical sidekick, but I call him my Black Doctor Phil. And the tech people and producers at WNYC are, like, this is how it will really pop and translate through to the podcast. Everybody is on board to make it fun. How does your stand-up experience inform the way you go about hosting a talk show? It’s pretty self-explanatory in that I spend a lot of hours on stage talking to people, keeping the show moving. It really makes for a nice and relaxed conversation, not only between me and my guests, but my victims, AKA the audience. Does the influence of daytime TV come out? Yeah, at the end of any daytime talk show, especially the old school ones like Oprah or even Joan Rivers, they always take questions from the audience. Those segments aren’t as produced as the rest of the show and people can actually ask real questions. I have a section called “Asking for a Friend” where anyone can ask personal questions, but they’re “asking for a friend,” so they’re not really putting themselves on the spot. Me and my guests try to help answer their questions, and at this point we’ve been talking to each other for an hour. It’s like a low-budget version of The View. How do the guests get chosen for each show? Ideally, we’d like to have a comedian and a celebrity. But usually it turns out to be people I’ve worked with before that I’m friends with. Plus 2 Dope Queens was like, here’s a list of people that we love and we’ve worked with that you may not know. Whenever you ask me who my favorite comedian is, it’s always a person you haven’t heard of, and they’re great. I try to get guests who are diverse, and who don’t necessarily have something to promote. People that just make for a fun, good conversation. I always have the most fun at dinner parties, because that’s where people are relaxed, after they’ve had a couple glasses of wine. Those are the conversations I love and that I’m trying to create. What do you enjoy the most about doing the show? When they’re over. Just kidding! I mean, each show sort of feels like a wedding. It’s like, I worked really hard on this and yet it felt like it was over in five minutes. But I think the most rewarding thing — not to sound like someone on Gossip Girl — is getting tweets about people who enjoyed the show, who were having a bad day that got cheered up. And I love when people get a good picture of me and post it. What are you most looking forward to with the show? When it drops, I’m really excited to see what its reach is like. As a stand-up, I’ve performed in 49 states. It’s a hustle. The idea that with this podcast, people all over can just press play and get a taste of what my world is like — damn, that’s exciting. Lars Odland is Podcast Review’s managing editor.